One of the most consequential advances in sciences and technology is the increasing generation of human bodily enhancement products in many shapes and forms that enable a culture of, demand for and acceptance of improving and modifying the human body. In 2016, a Cyborg Olympics, a Championship for Athletes with Disabilities, took place in Zurich, Switzerland. 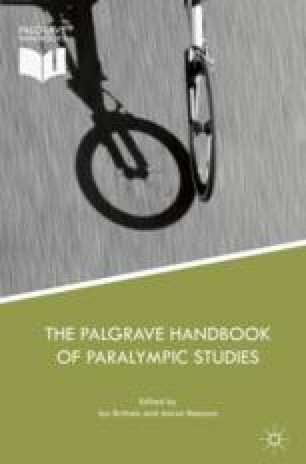 Interrogating the media coverage of the Cybathlon I found that the narrative around the Cybathlon 2016 poses various problems for Paralympic values. Beckman, Emma M., Mark J. Connick, Mike J. McNamee, Richard Parnell, and Sean M. Tweedy. 2016. Should Markus Rehm Be Permitted to Compete in the Long Jump at the Olympic Games? BMJ Publishing Group Ltd and British Association of Sport and Exercise Medicine. https://doi.org/10.1136/bjsports-2016-096621. ———. 2011b. Hearing Beyond the Normal Enabled by Therapeutic Devices: The Role of the Recipient and the Hearing Profession. Neuroethics. https://doi.org/10.1007/s12152-011-9120-x.